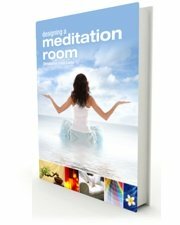 In this section I will discuss some methods to make your meditation room a quieter place. I will also cover the subject of furnishings, and will give you some good ideas for heating and cooling your meditation room. Acoustics is probably the least exciting aspect of meditation room design, but it is well worth thinking about for a moment or two, especially if you are designing a meditation room from scratch. If you happen to live far away from civilization, in the countryside or by the ocean, then you are probably fortunate enough to be mostly free from the noise and calamity of our modern world. Most people do not fall into this category, and so for them, having a quiet space to meditate in is most advantageous. Sometimes it’s simply not possible to block the intrusion of unwanted sound into your living spaces, and in any case, some people aren’t particularly bothered by environmental noise. However, if you are someone who is sensitive to interrupting noise, and if you have the opportunity to address acoustics, then the following information may prove very helpful indeed. If you are going to design a meditation room that will be a part of your own home, then think about which rooms in your house are the quietest. Often this means selecting the room that is farthest away from the road or street you live on. If you are designing a meditation room to teach in, then pay particular attention to the location of the venue. If possible, avoid busy locations where vehicular or pedestrian traffic is heavy. However, if it essential to the success of your business that you locate your meditation studio somewhere busy, then pay extra attention to the acoustic integrity of the premises that you select. Another thing to watch out for in shared properties is the construction of floors and walls. Will you be disturbed by people in other rooms, or by the thud of footsteps on the floor above you? Brick or cement walls and/or floors will provide a great deal more acoustic isolation than plaster walls and timber floors. Take note of these details if you are considering a venue in which to teach meditation. 1. Ask your builder to construct internal walls with acoustic plasterboard (drywall). For severely noisy locations, walls can be constructed with two layers of acoustic plasterboard for even greater protection. If you are concerned about the noise levels in your immediate environment, don’t hesitate to discuss the subject of acoustics with your builder. 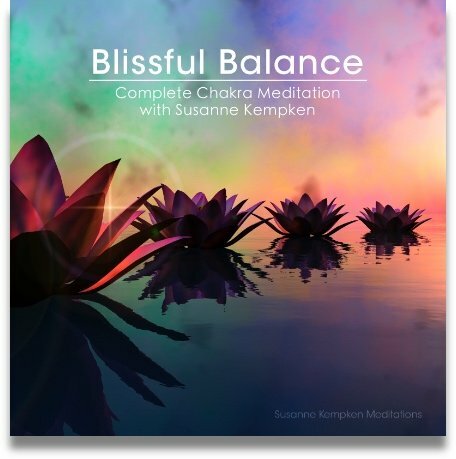 He or she will be able to suggest a number of construction techniques that will dramatically reduce the levels of sound that penetrate into you meditation room. 2. Use solid hardwood entrance/exit doors. These block more than twice as much sound as typical hollow core doors. 3. Use double glazing on the windows. What about Acoustic Foam Panelling? Contrary to popular belief, acoustic foam will not actually block any sound from entering your meditation room. Acoustic foam is designed to absorb sound within a room, preventing echoes and reverberation. It’s an expensive and unnecessary treatment and its effect on incoming noise is negligible. 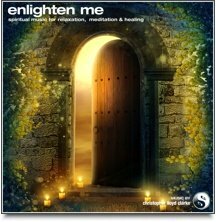 If your meditation room has already been built and you are unhappy with the amount of noise that makes its way into the room, then I’m afraid that the only way to improve your situation is to apply the construction techniques I have just mentioned. At the very least, double glazing and solid doors can be added to your room without creating too much mess or inconvenience, and these steps will have a dramatic effect on reducing the levels of incoming sound. If you have established a theme for your room and have decided on a colour scheme, then you’ll find the process of selecting furnishings to be an enjoyable, easy exercise. Simply choose furnishings that suit your own personal taste, and that fit in with the theme and colour scheme of your room. Keep in mind that the word “furnishings” incorporates more than just chairs and couches. Furnishings include carpets, blinds, curtains and other items such as side tables, buffets and rugs to name a few. If you have windows in your meditation room and you wish to have complete control over light levels, then you will need to install blackout blinds or heavy curtains. Curtains often add charm and cosiness to meditation rooms. The visual effect of soft folding drapery can be quite relaxing. Heavy curtains, in addition to providing excellent light control, present quite a “snugly” ambience (great for cocoon-theme rooms). In contrast, lighter curtains made from sheer fabrics will add a delicate, wispy softness. The alternatives; roller blinds, Roman blinds, vertical blinds and Venetians to name a few, are all perfectly suitable, but are more contemporary in appearance and often don’t have much of a “fabric feel” to them. They are perhaps more suited to minimalistic design themes. However, don’t let this suggestion become a rule for you. Window furnishings don’t have to be a feature that takes centre stage in your meditation room. As long as you understand how your blinds or curtains will perform, then you should allow your own taste to guide you when it comes to the aesthetic contribution of window furnishings. If you are designing a meditation room for professional use, then give some consideration to the layout of furniture in your room. If you wish to teach a number of students at once, and you want your students to mingle and interact with each other, then consider a circular or semi-circular furniture arrangement. This will allow your students to see each other, encouraging group interaction and more congeniality. If your students sit side by side in a straight line and do not face each other, they are sometimes less sociable, and less inclined to relax in each other’s presence. There are a number of specialized chairs and cushions available that are designed specifically for practicing meditation. 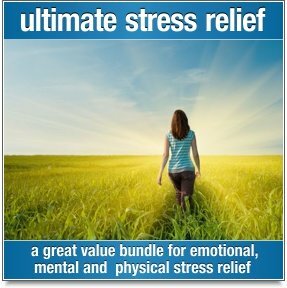 Meditation cushions (zafus and zabutons), meditation benches, and ergonomically designed chairs for postural support are all excellent additions to a meditation room and they can improve your meditation technique by helping you to remain comfortable and balanced. Zafu and Zabuton cushions provide very comfortable seating, whether you like to meditate in either a cross legged or kneeling position. If you prefer not to sit on a more solid surface, then a meditation bench will assist your meditation greatly. A well designed meditation bench will have a slightly downward sloping seat that will tip your pelvis forward and naturally guide your back into proper alignment. I highly recommend the use of a meditation bench like this. I also recommend that you avoid buying a plain timber meditation bench. They may look nice but they tend to be very hard on your bottom! Trying to soften a wooden bench by adding your own cushion may lead to frustration, as your cushion may slip across the surface of the bench. Buy a meditation bench with a padded surface like the one pictured above and you will be very comfortable indeed. However, it’s not absolutely critical that you use specialized furniture for meditation. Do you have a favourite chair or couch that you love? Use it! Be comfortable. Any seating is suitable for meditation so long as it encourages correct posture. It goes without saying that the temperature of your meditation room will be critical to your personal comfort. Depending on your geographical location, you may need both heating and cooling facilities in your meditation room. My advice regarding heating and cooling units relates to the noise that they produce, and the cleanliness of their heating process. Hydronic heaters and radiant heaters operate almost silently. They also produce a very clean heat as they do not actively circulate the air, that is to say, they don’t use fans. This means less dust and airborne contaminants for you and your visitors. Portable fan heaters and central heating may warm up a room more quickly, but they do make more noise and they circulate dust. For most people this is not a concern, but for those of you with allergies, hydronic and radiant heaters are a much healthier choice. How could I forget to mention fireplaces and wood heaters? These might not be the most practical heating devices to install and operate, but who can deny the dreamy, mesmerizing appeal of a crackling open fire? They are wonderful for a meditation room. The noise made by cooling units can be substantial, and so if you have the opportunity to install new air conditioning, select a “split system” unit. The noisy fans of the unit can be installed outside your home, away from your meditation room, and the cool air you need is fed quietly into your meditation room via ducting.